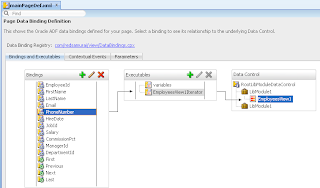 I got a question from blog reader, based on my previous post - How To Reduce Database Connections and Reuse ViewController Layer. 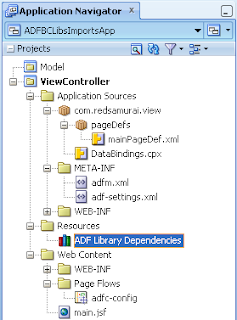 This post is based on ADF library dependencies with ADF BC objects - library is not imported directly into project, but is accessed through proxy library with implemented root Application Module - to reduce opened database connections. 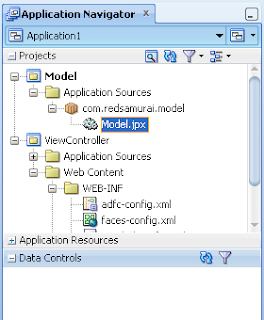 However, same application fails to work on design time in JDeveloper 11g R2 (latest release from this week) - IDE wizard returns error about missing Data Control objects. 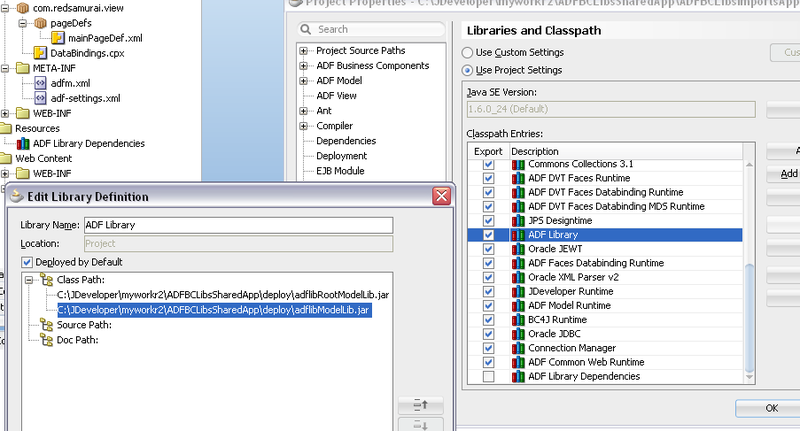 It works on runtime though, means there are no issues with ADF runtime, its something with IDE. However, I would not claim this as IDE bug, I believe that IDE applies best practice approach for how we should consume ADF libraries. 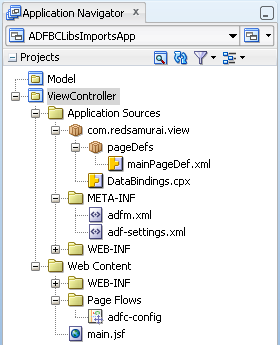 There are few hints to keep in mind, when working with latest JDev release and consuming ADF libraries with ADF BC objects (specifically Application Modules) inside. 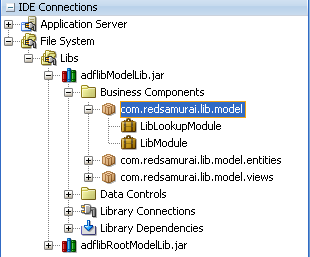 This applies only to those cases, when you are reusing Application Modules from ADF Libraries. 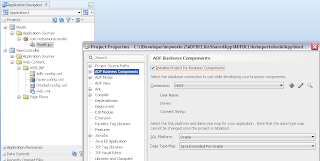 Download sample application - ADFBCLibsSharedApp.zip. 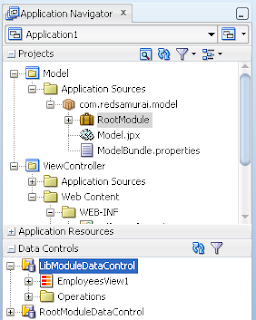 This sample contains three ADF applications developed with JDev 11g R2 - SharedLibsApp (ADF BC reusable components), ADFBCLibsImportsApp (demo how to consume ADF BC libs on ViewController), ADFBCLibsImportsModelApp (demo how to consume ADF BC libs on Model). 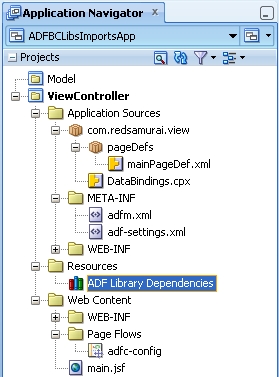 This clearly indicates that, ADF Library dependency fails to bring dependent library into context, its why we can't see it through Data Control. 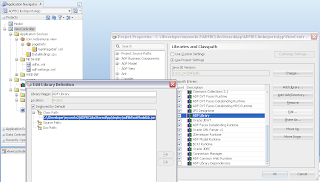 Now restart JDeveloper - good news JDev 11g R2 restarts really fast, so you don't need to wait that much as before. 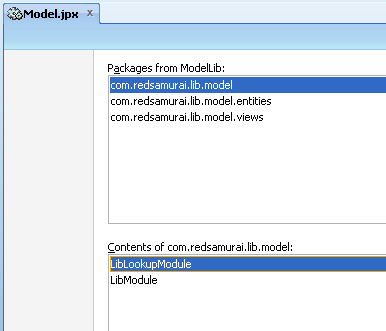 but when i compile the view control the compiler-log tell me many Error type "package does not exist"
even if they are presents in the project model? 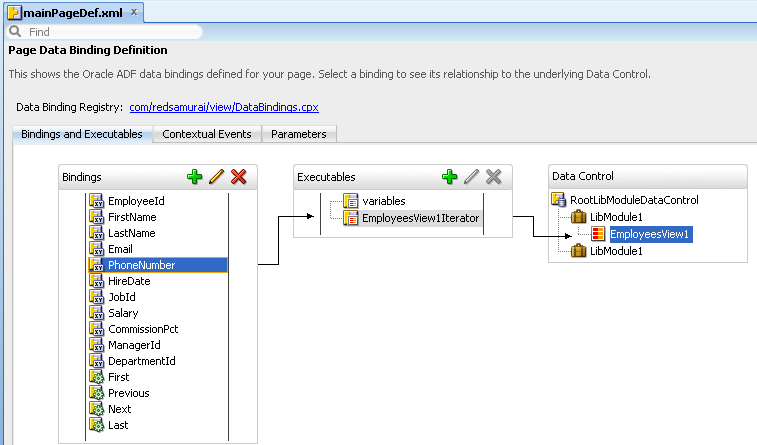 Yes, second approach is recommended. 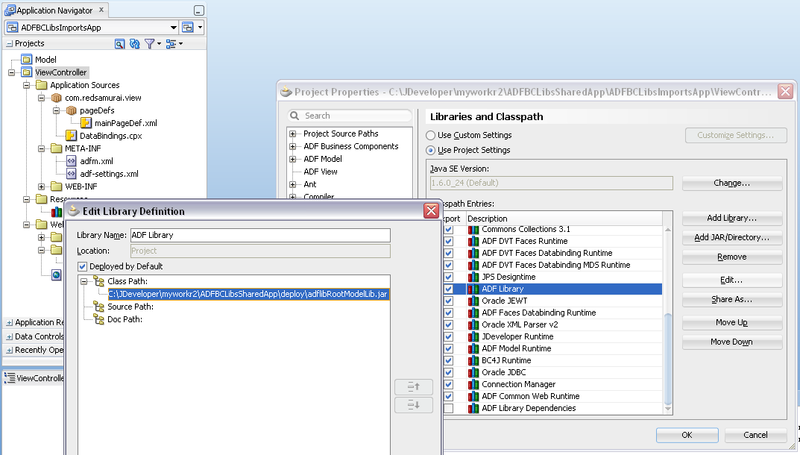 Add in viewController classpath the Model ADF Library Dependencies. 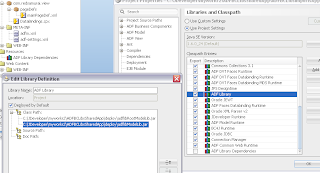 Make sure there are no duplicate classes created after packaging. 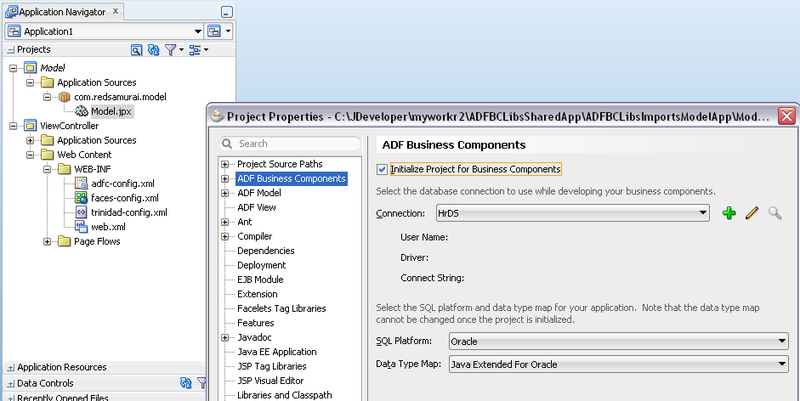 I have a application scenario, where I have to perform data operations(create,delete/update, select) from 2 sources, 1 from ldap using oim api, other from DB using adf bc. 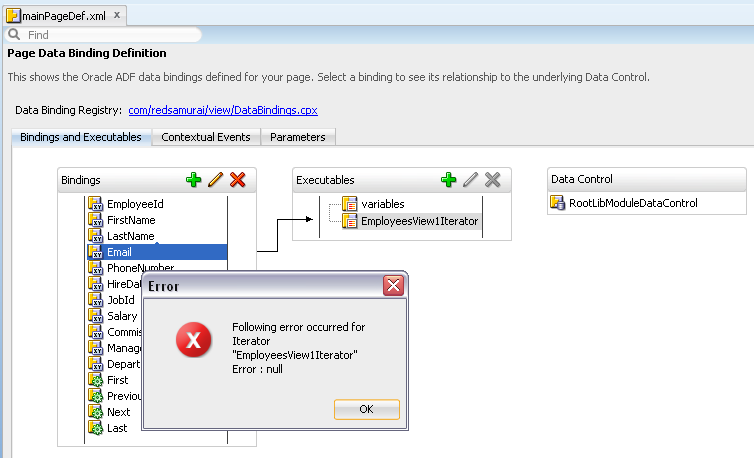 my problem is calling the adf bc from the managed bean of the taskflow. 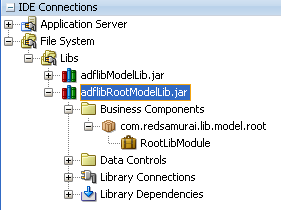 what is the best way to call a adf bc app module in a bean, also how can i do these two data operations in a single transaction. I have AM1 which has client interface methods, i nested AM1 into AM2 but the AM1 client methods cant be seen in the data controls palette. 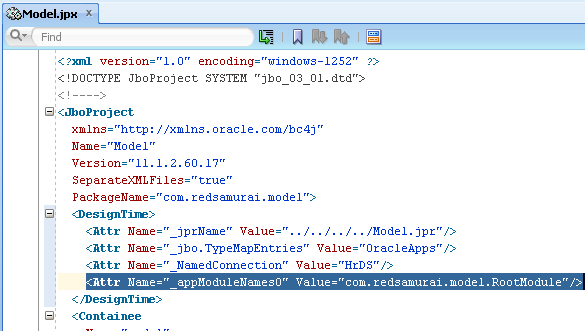 When i run the AM2 instance for testing, the client methods for AM1 were seen as expected. 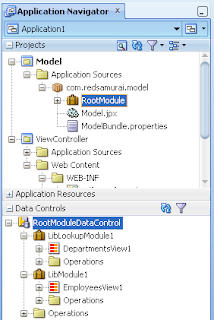 how can i expose AM1's client methods in AM2 nesting? 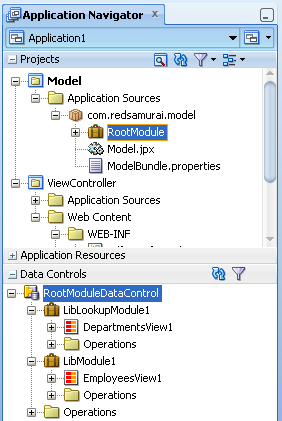 or do i have to call these methods programmatically? the applicationmoduleimpl.invokemethod doesnt seem to have enough documentation for its usage. 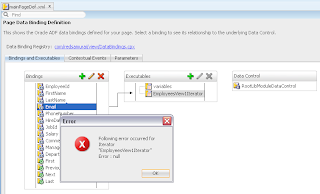 help!! 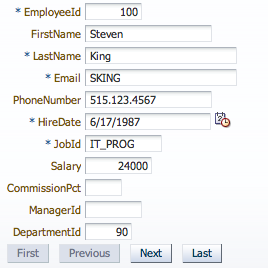 Thanks for putting this together Andrejus! As I learn 11g, I'm sure I'll be visiting your blog quite often. 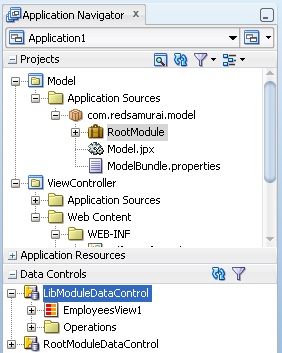 I archive to jar my Application module then set lib class path the jar. 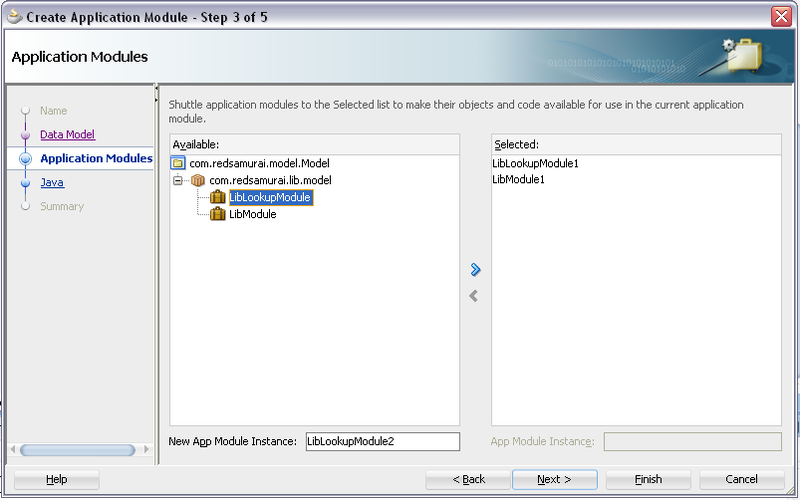 Also setted to Nested application module to root application module but load view object then follow error occur. 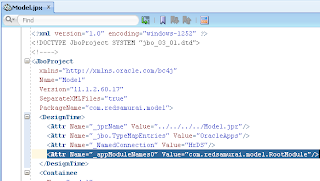 oracle.jbo.NoObjException: JBO-25003: Object OrganizationVO of type View Object is not found.